Your child’s Blyth Academy Mississauga journey continues in our Foundations Program, where experienced and empathetic faculty build on the students’ academic success while adding a complete and comprehensive life skills curriculum. The academic year of the Blyth Academy Foundation Program is divided into four terms of ten and half weeks. This cutting-edge restructuring of the traditional academic school year has dramatic benefits for the student. 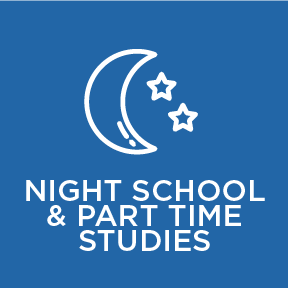 Our Foundations students take only two courses per term, as opposed to a more traditional semester setting (four courses a semester) or a full-year setting (eight courses daily spanning the entire academic year), meaning that our students are able to manage their academic workload much more effectively. Two-hour classes, taken five days a week, allow more time for in-depth review and for individual attention to our students on an ongoing basis. Students select their courses at the start of the school term and are given their schedule and room assignments. The life skills portion of the Foundation Program is taught in their third “spare” period. The Foundations Program seeks to provide a unique offering to students in Grades 9 and 10 that challenges the traditional organization of curriculum development and delivery in the intermediate grades. Traditional academics at Blyth, unlike at many schools where the disciplines stand isolated from one another and the real lives of students, will be fully integrated with actual experience. In taking this approach the Foundation Program ensures a curriculum that changes with the times and thus remains perpetually interesting and relevant to students each and every year. Grade 9 and 10 students at Blyth Academy will benefit from the way in which the Foundation Program integrates the disciplines of Math, Science, English, and the Social Sciences and makes them relevant to their lives. Students will derive a more meaningful educational experience by explicitly examining the way in which what they learn in their traditional classes impacts on their daily lives. In so doing, the Foundations Program will produce students with a greater sense of self, their peers and the world around them. Blyth schools produce well-rounded, university-ready and life ready students by providing a full extracurricular program as well as community-involvement opportunities in their neighbourhoods and around the world.